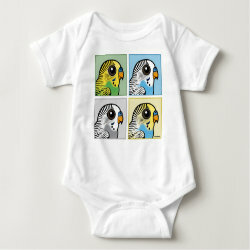 Our totally cute Birdorable Budgie comes in four different colors. 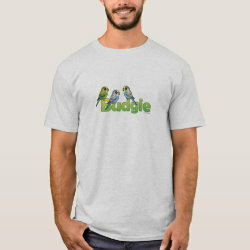 Lots of great t-shirts and gifts with oiur green, blue & yellow, blue or grey Budgerigars. 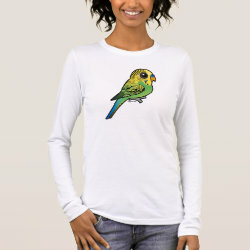 Just pick your favorite color and browse the available t-shirts and gits. 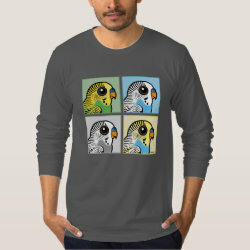 A pop art style design featuring four of our cute cartoon Budgies! 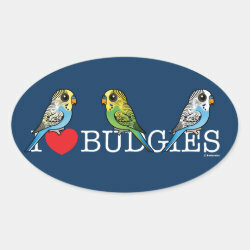 A cute design featuring three Budiges perched on the word Budgie. 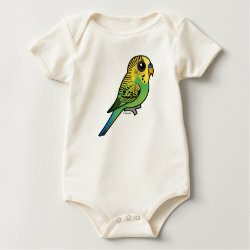 This is our Birdorable version of a green budgerigar. 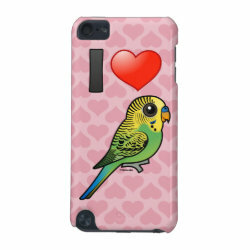 This little parakeet is too cute! 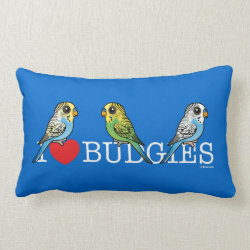 Great gifts here for budgie lovers and budgie pet owners. 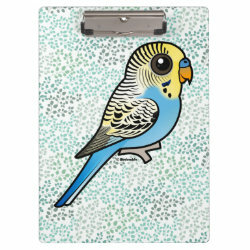 Customizable t-shirts, cards, keychains, mugs, hats and other gifts with our cute Birdorable Blue & Yellow Budgie. 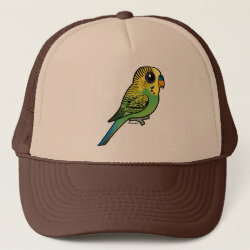 Add your own text! 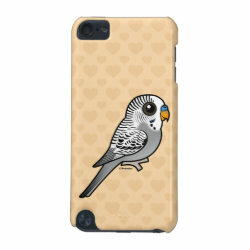 A cute design for anyone that loves Budgies. 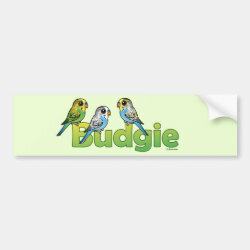 Three Birdorable Budgies are lined up. 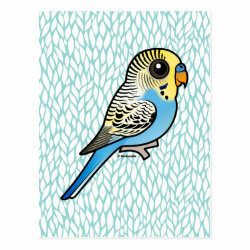 This is our cute Birdorable version of a blue budgerigar. 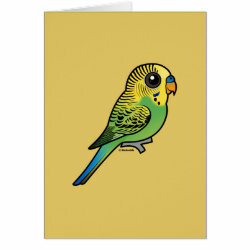 This little parakeet is too cute! 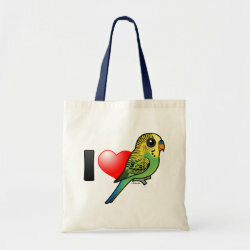 Great gifts here for budgie lovers and budgie pet owners. 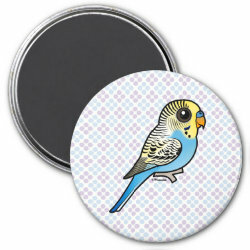 Customizable t-shirts, cards, keychains, mugs, hats and other gifts with our cute Birdorable Grey Budgie. Add your own text! 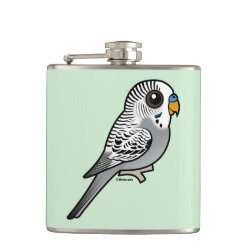 Birdorable Grey Budgie Vinyl Wrapped Flask, 6 oz.